The TEAM Professional Observership Program offers professionals from around the world opportunities to observe and learn from a highly qualified transdisciplinary team of professionals (e.g. Board Certified Behavior Analysts, Speech-Language Pathologists, an Occupational Therapist, and Music Therapists). Observations of speech and language therapy, occupational therapy, ABA therapy (i.e., behavior therapy) and adult service programs, both on and off campus will be included in each session. Observations of diagnostic assessments, research programs, Recreation Services (e.g., golf, tennis, soccer, yoga), Reach and Teach Through the Arts services (e.g., music, art, drama, and dance) may be included based on availability. In order to participate in the program, professionals must be proficient in English and have worked in the field of autism spectrum disorder for at least one year. All professionals participating in the TEAM Observership program will be invited to view the Els for Autism five staff training modules. A certificate of completion will be provided at the end of these five, 1-hour training modules. Please note, all acceptances are contingent on the results a level 2 or international background check. One background check is included within the fee charged per each professional. Below is a general outline of the experience offered via the TEAM Professional Observership program. Professionals may request a letter describing/outlining their experience at the completion of the program, but no certificates of training (other than the certificate of completion for the 5 core training modules) or competency will be provided. 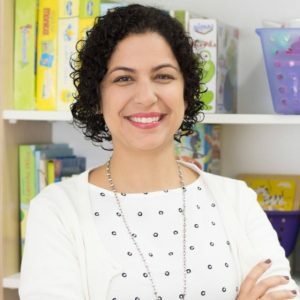 I am a speech pathologist in São Paulo/Brazil and I work with children with speech, hearing and language disorders, including those diagnosed with ASD. I had some previous opportunities to visit the Els for Autism Foundation with Brazilian clients who were at an intensive intervention program and, in January 2018, I completed a two-week observership to improve my clinical practice. At that time, I was able to observe many programs and services at the Foundation such as: assessment process of the Early Intervention program, sports class, speech and language and ABA assessment and therapy for Foundation students, intensive intervention for foreign families, selective process for employment with youth and adults with autism, speech therapist practice in the school environment and parent training. Eu sou fonoaudióloga em São Paulo/Brasil e atuo com crianças com alterações de fala, audição e linguagem, incluindo aquelas com diagnóstico de Transtorno do Espectro Autista. Tive algumas oportunidades de ir ao Els for Autism Foundation para o acompanhamento de clientes brasileiros em programa de intervenção intensiva e, em Janeiro de 2018, participei de um estágio de observação de duas semanas, com o intuito de aprimorar a minha prática clínica. Naquele período, pude acompanhar a maioria das atividades que acontecem no Foundation, tais como: avaliação inicial do programa de Intervenção Precoce, aula de esporte, avaliação e terapia fonoaudiológica e psicológica de crianças e jovens com autismo estudantes do Els, consultoria à distância, programa de intervenção intensiva para famílias estrangeiras, processo seletivo para emprego com jovens e adultos com autismo, participação da fonoaudióloga no ambiente escolar e treinamento de pais. Acompanhar a atuação de profissionais da Fonoaudiologia em diferentes âmbitos (escolar, clínica, terapêutico) e com diferentes públicos (crianças, jovens e adultos) contribuiu muito para a ampliação da minha atuação, me permitindo ir além das sessões de terapia, mas também contribuir para os outros contextos terapêuticos, apoiar a inclusão escolar e social e criar oportunidades de atividades socioculturais para as pessoas com TEA. – Os princípios da Análise Aplica do Comportamento são utilizados como background para a atuação de todos os profissionais e em todos os contextos/atividades. – Equipe Transdisciplinar: Apesar da especificidade de cada área, os profissionais do ELS têm conhecimento transdisciplinar, o que permite a junção entre todas áreas para melhor aprendizagem de cada criança específica. Em suma, a estadia intensiva no ELS me ajudou a aprimorar minha prática clínica como nenhum outro lugar ou curso que eu fiz. Muito obrigada a todos da Equipe do ELS pela generosidade de compartilhar seu conhecimento comigo! 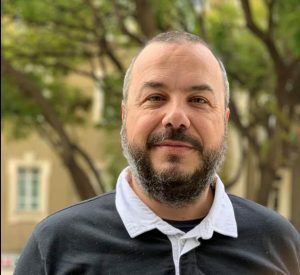 My name is Tiago, I am an adapted physical education teacher, I work with students with autism spectrum disorder for 15 years and I work with multi-disciplinary teams. 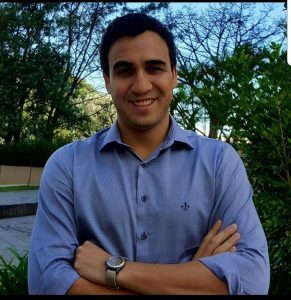 My experience at the Els for Autism Foundation was great, I spent a week in the physical education classes of children with different ages, I could exchange experience with professionals and shared how I work in Brazil ( methodology, strategy, class structure, and method)), it was very enriching. I also participated in golf lessons, learned different methodologies and strategies. The attention that all the professionals had with me at The Els Center of Excellence was unique, everyone treated me very well, I hope I will be able to go back again. I’m Luca a BCBA from Cagliari, Italy. I work with children and adolescents with ASD at “Centro ABA Karalis”. I had the opportunity to stay at The Els Center of Excellence in February 2018 to improve my clinical practice. 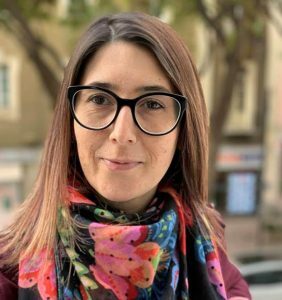 During my period of observation, I had the opportunity to observe other professional’s clinical practice while working with young children and adults and then share my experience with people I work with in Italy. It was a very interesting and enriching experience and I would suggest it to other professionals who want to improve their profession and knowledge. I’m Gessica a BCBA. I live and work in Cagliari, Italy with children and adolescents at “Centro ABA Karalis”. Last year, in February 2018, I spent time with my observership to improve my clinical practice. I had the opportunity to observe early intervention, ABA in a school setting, parent training and programs for young adults. It was an experience that I suggest to who want to improve themselves in this profession.